Private bedroom + private bathroom + underground car park My awesome roommate has decided to get serious with his girlfriend and get their own place. So, looking for a new equally awesome roommate. Modern newly furnished apartment with an open plan lounge, dining and kitchen. Positioned on level one in a quiet, pet friendly complex. - Bedroom includes built-in wardrobe - Bathroom includes shower, a modern bath and very spacious sink - Tiled flooring throughout the apartment with carpet in bedroom - Ducted air conditioning in bedroom Building includes internal lift access to secured parking space and video intercom security. Very conveniently located. Downstairs you'll find an IGA, pubs and cafes, and a walk away from busses heading into central station, CBD and Green Square station. I work in the CBD in corporate finance, so never home on weekdays and like to either cook or watch Netflix and wind down on week nights. On weekends I like to spend time with friends or going for a run/training. Looking for like-minded people who likes to be social but can also respect each others space when needed and call this place your home. Creative, Fit, Active, Professional into Music and Marketing. Looking to share with 1 other Professional MALE. Awesome 3-Level Town House in the best street in Botany. In a quiet cul-de-sac that fronts on to a reserve with gum trees. Aquatic Centre, parks and cafes at the other end of the road. Your unfurnished room (*or furnished for $450 pw) will be the top floor master suite which has an ensuite, extensive wardrobe and 2 large balconies with amazing tree top views. Secure Undercover Car Space included. *If you require the room to be furnished rent will be $450 per week all inc. Please be a professional, mature, single, 'metrosexual' guy with a passion for life, who is creative, active and healthy. Ideally, you would be working Full-Time (sorry, no shift workers) and have an active interest in Music and Fitness. Some other artistic skills or interests would be a bonus. NO SMOKING! 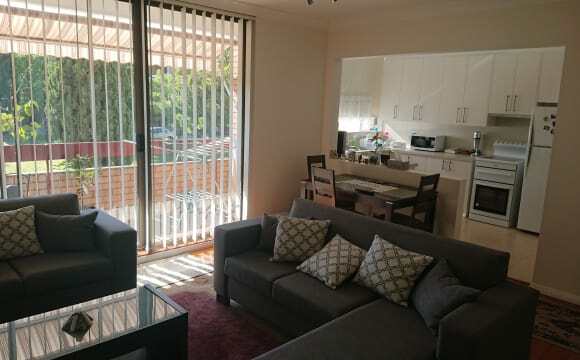 I have huge spare room available in modern quite apartment complex in Botany. Easy access to both airport and city workers. The room has big wardrobe and office table and chair. Just one bathroom. The apartment has an internal laundry. This apartment complex has nice pool area and bbq too. If you ready to move in now or coupleweeks is ok with me. You will be sharing with professional male shift worker. The apartment is a must see on your list im sure will go fast. Bus stop within 5 minutes to bus into city and train line not that far away. Rent is $250 single and $295 couple... just some bills included in that price. I have a lovely furnished room, with a double bed, available in a top floor apartment in large complex with swimming pool. There is parking available and a very large, sunny balcony. Easy access to the airport, the city and NSW University. My previous housemates are all happy to give me a great reference. I work full time and prefer female housemates who must be non smokers. All bills are included and there is unlimited Wifi. Owners of top floor modern penthouse fully furnished apartment, north facing terrace, all-day sun, large backyard balcony also. Two neighbour units on our floor only so very quiet, easy lift access right next to our front door entrance. Very easy to get around and on-street parking available or buses to city. 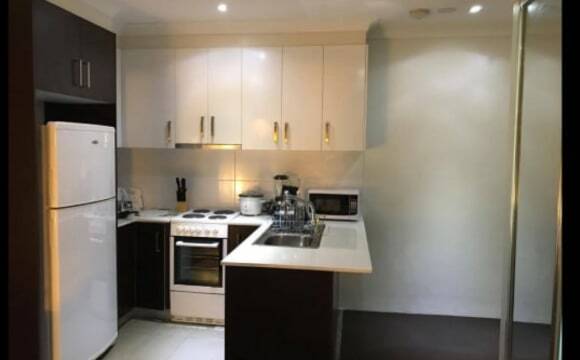 close to shops, restaurants, cafes, east gardens westfield, maroubra beach, airport etc. The granny flat is a great size, almost like an apartment. Recently built modern building, 4 minute drive to airport, 15 minutes to City Centre and 5 minutes away from Westfield Eastgardens. Building has a café and IGA. 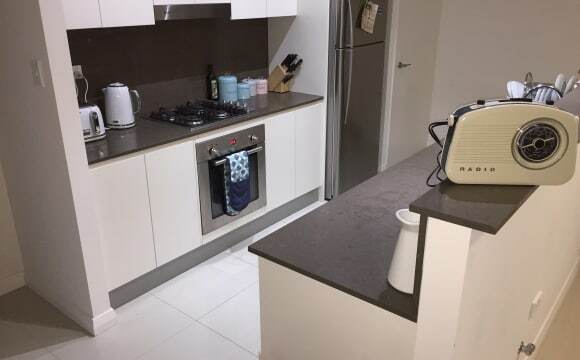 Apartment has a modern fit out, fully equipped modern kitchen, internal laundry, great views of the city and overlooking a park from the balcony. Reverse cycle air conditioning is in every room. Looking to rent a good sized bedroom with double mirrored wardrobes, own bathroom with bath/shower. Underground secure parking spot and access to balcony from the bedroom. Apartment is furnished so all you will need is to furnish your own room - Optional to have a furnished room. Flatmate is a professional 40 year old female who is an Event Manager so her hours vary and she enjoys an active lifestyle. Enjoys riding her Ducati. There is also an existing friendly Burmese cat unfortunately no other pets allowed. 3 storey townhouse, room on the middle floor being offered. 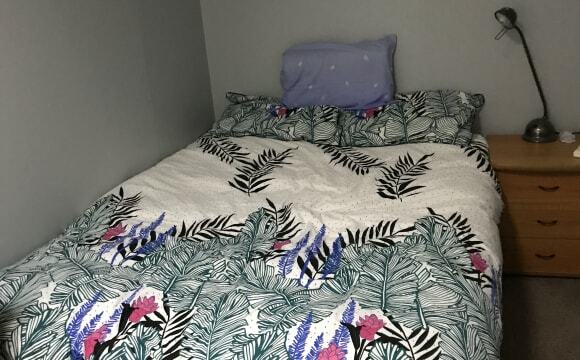 Share bathroom with a male (who is only home 5 days per week). Close to the 310x and 307 bus routes. 5 minute drive to Eastgardens. 5 minute drive to the airport. Available NOW The room is fully furnished with double bed, large mirrored built-in wardrobe, private balcony and private bathroom. The modern apartment is shared with professional working couple, kitchen, lounge, dining, air-conditioning and internal laundry. The lounge opens up onto an additional balcony with BBQ and outdoor furniture. The complex is located near Cafe’s, restaurants, bus stop, park and plenty of off street parking. 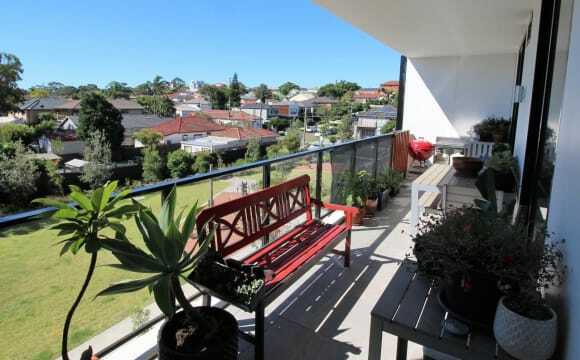 It is a 10 minute drive to Maroubra beach, 15 minute drive to UNSW and close to airport. We are looking for a full-time working professional or student who is clean, tidy, considerate of others and non-smoker (no couples). This is NOT a party house. We currently have had the lease transferred over to us as our other flatmate had moved out so the apartment is still being updated but we have the necessity's and should be completely furnished by the time you move in Features of the apartment include - Fully Furnished Kitchen - Washing Machine - Dryer - Ducted Air Con - Balcony - 55inch Tv - Netlfix - Stan - PS4 - Balcony We will also be getting a BBQ and Foxtel soon so we're looking forward to that. Your room is furnished with a double bed (bed frame should be arriving soon) and has a built-in wardrobe with access to the Balcony. You will be sharing the main bathroom with Camilo for roughly a month and then he will be going back overseas and the bathroom is all yours after that. If you like any additions to the room then let me know and we can have a look at getting it fully furnished they way you want it. 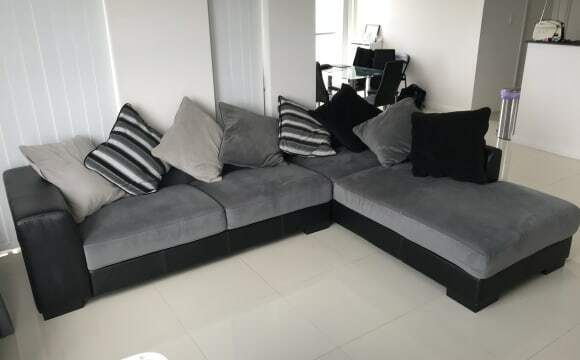 2 Large furnished rooms on quiet street close to bus stop, park and amenities in a stylish brand new apartment on a quiet street close to parkland, airport, Eastgardens shopping centre, city, beaches. The room is furnished, has mirrored built in wardrobe but can also be flexible with furnishings. Bathroom is shared with one other flatmate. We are looking for someone who cleans up after themselves and is considerate of others. 2 min walk to bus stop and short stroll to shops on Botany Road. Require 3 weeks bond plus rent in advance. If you are interested, please send through an email or text with some details about yourself to arrange a viewing. 200 sqm living space. Pool table, home gym and home entertainment area with projector and surround sound are available. WiFi throughout the whole building. On street parking. Non-Smoker please. 5 minute walk to shops and buses. 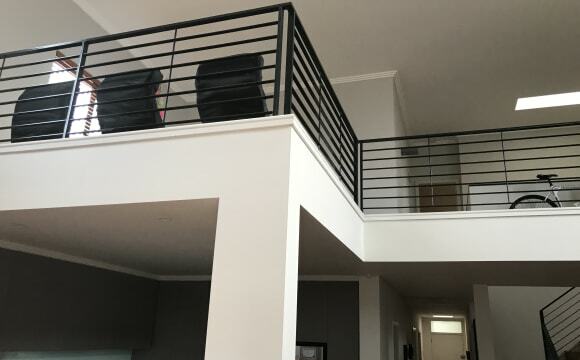 Room available at moment: One month rent at $1000 in advance due on the 1st of every month. Rent works out this way: $230 a week X 52 weeks divided by 12 months = $1000 per month. There is 2 weeks bond at $460 also. Unmissable opportunity !!! 1 x double massive room with ensuite. Available with in doorsteps from train stations, cafes restaurants and only minute away from the CBD! If you are tired of living in messy, dirty, overcrowded shared houses, do no miss this opportunity, you won't get anything quite like this any time soon!!! Clean, Friendly, Spacious House. Close to the city, beaches, and airport. Westfield is walking distance away. 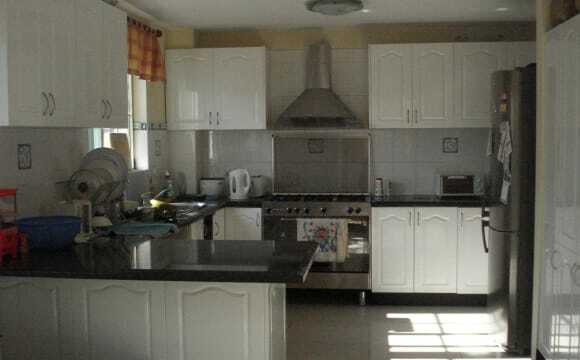 2 bedroom granny flat with 1 room all to yourself is available for rent, . State of the art kitchen and bathroom. 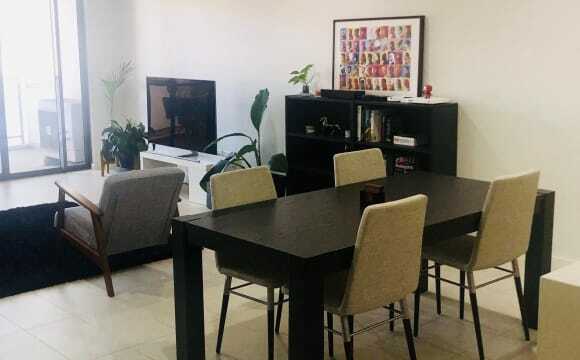 Own private entrance LED TV, less then 5 minutes walk to express busses into the city, Randwick, UNSW, Bondi and central station and most locations. Mascot train station just over 10 minute walk. Available to move in on the 7th of April. OWN ROOM ALL TO YOURSELF. “Bedroom 2” on the floor plan (see the images. The areas highlighted pink are not part of the residence) - oversized, private room for rent in a flat. The room can be either furnished or not, just let me know your preferences/requirements! There are pets on the property that are all very lovely so dog/cat/bird friendly people need only apply. There is a ridiculously large backyard, private laundry with washer and dryer, fully equipped kitchen, Foxtel, Netflix, and unlimited internet. While the bathroom is shared I am a very tidy person so won’t leave any mess lying around. There is a shower and a bath tub with plenty of shelving for candles/incense to unwind after a long day, or... just because. I have plans to establish a vegetable garden in the yard. The neighbours in our little cul de sac-esque area are freakin awesome and we regularly get together for drinks, to play guitar, etc. Photos are from just before I moved in - house is now furnished in your typical inner west recycled (but classy) fashion. Any questions, please feel free to ask. Suite room with private bathroom available from 29/04 (Date negotiable) in a 120 sqm apartment with 3 bedrooms and two bathrooms walking distance to Mascot station. It’s a new and modern apartment fully furnished. Your bedroom will have a double bed and it’s built-in wardrobe . It’s a nice size bedroom, perfect for a couple or two friends that want to share. 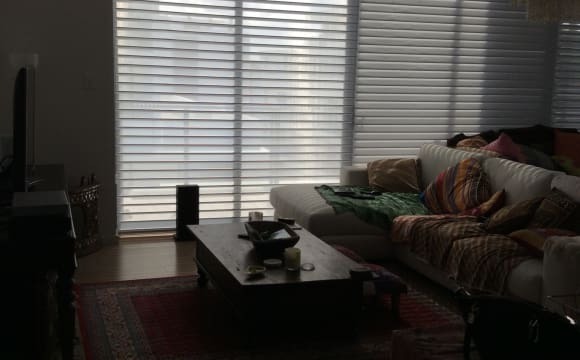 The apartment also has air conditioner, nice size living room full equipped and a big balcony with a good view. The rent is $450 per week and bond of two weeks. All the bills and unlimited Internet are included in the rent. The rent all so includes a cleaner every two weeks to maintain a tidy and clean ambient. Please text me for more information or to book an inspection. Available from 29/04/2019 It is not a ‘house party’ as all of us work full-time, however we enjoy having some beers and cooking together. The private room available is a garage converted into a large room with double bed and has room for small loung and desk. The kitchen and bathroom is at the back of the house which leads into the courtyard and private room. We are walking distance to shops eg Woolworths, Coles and Aldi are some of the shops in Eastlakes and public transport, About 10 minutes from Sydney Airport. and Eastgarden shopping centre. Private room , close to rest cafes and supermarkets within a walking distance, near bus station and 15 minutes walk to mascot train station. Private room available in a large, modern 4 bedroom, 4 bathroom townhouse located in Mascot close to amenities and public transport. Modern spacious level 10 apartment, only 10 minute walk to Mascot train station, Sydney Domestic Airport, Woolworths, gyms &amp; cafes etc. Comes with large balcony area, air con, wi fi, washing machine, clothes dryer, dish washer &amp; BBQ area etc. 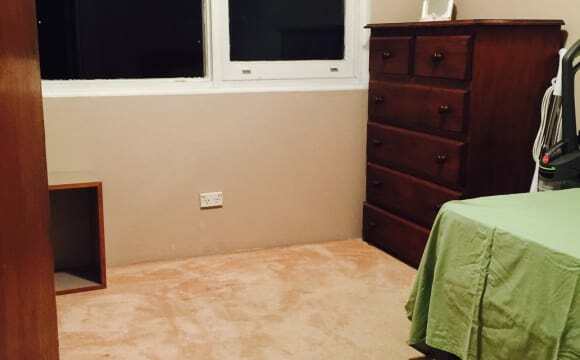 Small furnished bedroom with double bed, wardrobe, chest of drawers etc. The apartment has great views of the airport runways and Botany Bay. Modern spacious level 8 apartment, only a 10 minute walk to Mascot train station, Sydney Domestic Airport, Woolworths, gyms &amp; cafes etc. 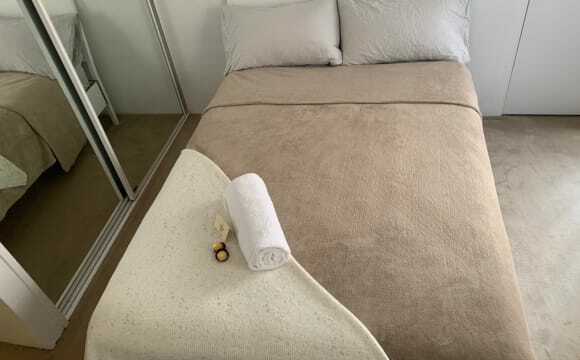 Comes with large balcony area, BBQ, air con, wi fi, 50 inch Smart TV, Netflix, Large comfortable sofa, washing machine, clothes dryer, dish washer, large fridge &amp; BBQ area etc. 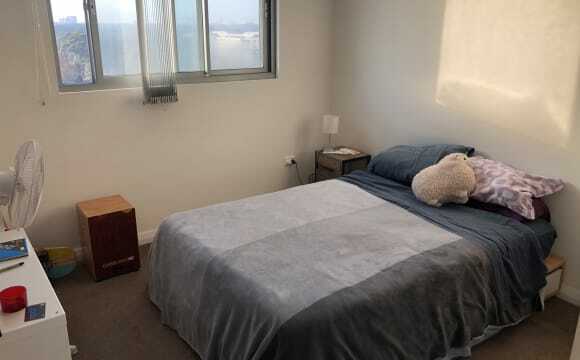 Decent sized furnished bedroom with a Queen bed suitable for a couple, high quality 2.5 month old mattress, its own balcony, large built in wardrobes, chest of drawers, bedside drawers &amp; TV point, etc. The apartment has great views of the airport runways and Botany Bay.